Journey of a Yellow Man (1992-2001), photography. 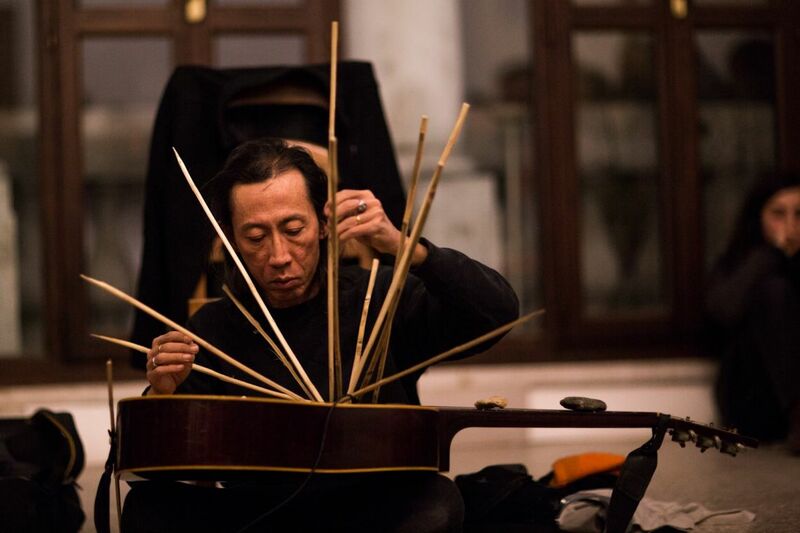 Lee Wen, Sebastian (2012), live performance at the VENICE INTERNATIONAL PERFORMANCE ART WEEK 2012. Images © Monika Sobczak. Lee Wen (1957-2019) is a Singaporean multidisciplinary artist working on social identity themes. Best known for his Yellow Man series of work, Lee is one of the pioneers of Performance art in Singapore. His work is based on what might be called a performance iconics, relying on the strategic deployment of visual and kinesthetic symbols and signs, being motivated by a strong conviction of justice and idealism, with a persistence to stay true to the Self in a highly structured world. Lee Wen's essays, texts and investigations are an important reference, not only for Singaporean and Asian artists, but also for performance art scholars and researchers worldwide. In 2003, Lee spearheaded the Future of Imagination international performance art event, seeing the value of having an annual gathering of international artists in Singapore, to share a continuing interest in the cultural constructs of identity in the global situation and current trends of contemporary art practice, through live performances and discussion forms. At VENICE INTERNATIONAL PERFORMANCE ART WEEK 2012, photographs documenting the performance series Journey of a Yellow Man (1992-2001) and the live performance Sebastian are shown.